Charities must urgently begin making changes to the way they operate in order to tackle a "catastrophic decline" in individual giving, according to Johnty Gray, director of mass engagement at WaterAid. Speaking at the Institute of Fundraising's individual giving conference in central London this morning, Gray said traditional charity structures were one of the biggest barriers to the innovation necessary in order to appeal to a millennial audience. He said charity staff who wanted to drive innovation often assumed their charity's culture was too risk-averse to accept any change, so tended to self-police by not making innovative suggestions in the first place. The rise of digital technology had created a culture in which people asked what they as individuals could do directly to change the world around them, he said. "Millennials are now the majority of the workforce and are becoming middle managers, and we know that being a millennial is about self-empowerment, and about the cause rather than the charity," he said. "But we still have not re-equipped ourselves to cater for this audience, so innovation cannot exist while we ignore the audience that we're meant to serve and garner support from." Gray said that, in a normal model of growth for an organisation, it would begin by growing steadily, before levelling off and reaching a point where it had to change what it was offering in order for growth to continue rather than decline. "If you plotted the income of every major charity in the UK earning more than £100m a year through individual giving, we're down the other side of that curve already," he said. "We're already down the side of catastrophic decline, if you take legacies out of the mix. "We have still not reacted en masse to the challenges of regulatory pressure, customer expectations, technology and change in product lifecycle." And he warned that, as technology developed, the pace of change would only increase. "We have to innovate more quickly in different ways, find different ways to do different things," Gray said. "And if we don't do that quickly, then we are doomed to catastrophic decline." One of the biggest issues preventing charities from embracing new technology and ways of working was the way in which many of them were organised, he added. "In large numbers of charities, we separate out the digital team from the rest of the organisation, even to the point where we have several digital teams in the organisation," he said. "We have digital communications and digital marketing and social media. Why? "If digital is at the heart of what we do, then surely it has to be part of everything we do." The siloed nature of many charity departments meant the structure of many organisations was "fundamentally flawed", Gray said, particularly for organisations such as medical charities, where the majority of supporters were often also patients or families of patients who used the charity's services. "So the marketing teams market to doctors and nurses about their services, the communications team in a broad sense drives the advocacy message, the service function delivers services and the fundraising function is somehow trying to get funding while not being able to talk about any of those other mechanisms," he said. "If they want to move towards engagement techniques where they truly create community of care around people the services are for – who are actually providing the funding – then they need to completely break that mould." 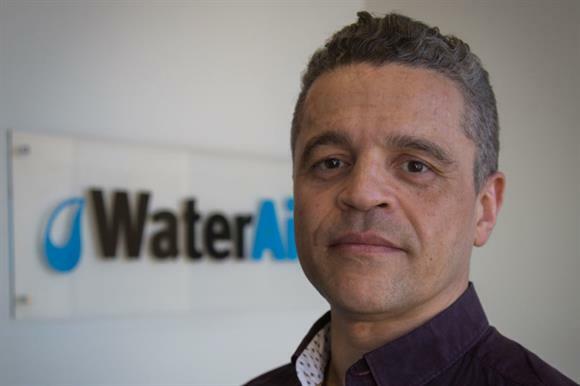 At WaterAid for example, he said, departments shared planning around a campaign and money earmarked for the marketing team to buy advertising could be pumped into attracting media attention instead. But he said many people he spoke to believed the culture at their own organisations was too risk-averse to allow innovation, and this had prevented them from trying. "Most of the time we self-police," Gray said. "We stop ourselves from doing the innovation that's needed, we stop ourselves from putting ideas forward, and the sooner we can break that culture the better. "We need to persuade those in power through facts, figures and data. It is beholden on us to create that momentum and break the inertia that exists."